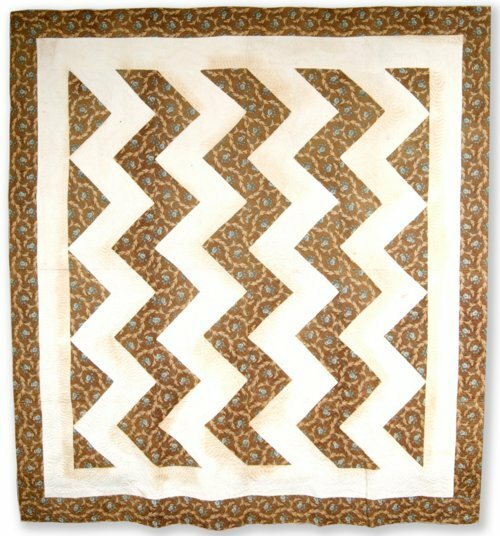 Brown and white cotton quilt in Lightning or Zigzag pattern. Design is formed by large alternating triangles of brown/blue print and plain white fabric, set into strips and seamed together to create wide zigzags running down the top. Although little is known about the history of this quilt, it is an excellent example of close quilting and its brown/blue printed fabric dates it to before the Civil War.